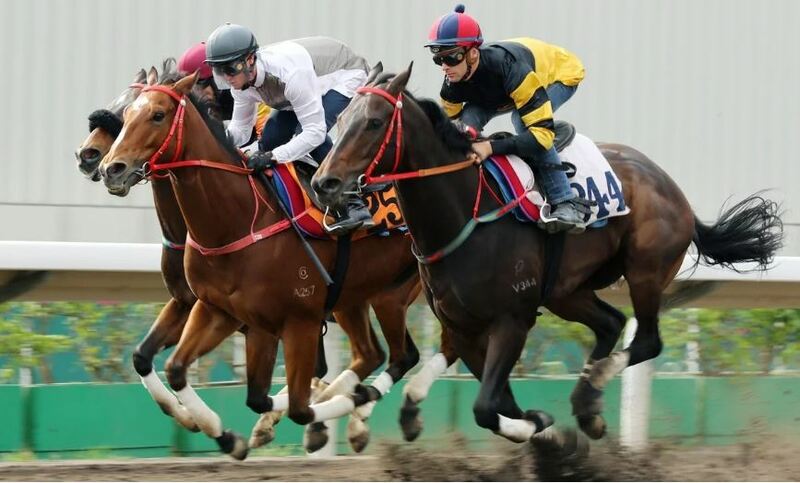 Racing’s focus turns to Hong Kong at this time of the year and all eyes will be on Champion Sprinter Ivictory at Sha Tin this Sunday. With the Hong Kong International Sprint Gr.1 less than a month away, Ivictory will attempt to get back on track in the Jockey Club Sprint Gr.2. Despite a lacklustre loss last time out in the Premier Bowl Gr.2, trainer John Size has elected to forge ahead with a ‘business as usual’ regime for the brilliant son of Vinery sire Mossman. Ivictory (pictured between stablemates at trackwork) was sent back to the trials by stewards and was given the all-clear after a pleasing hit-out last Friday when third under a strong hold from Zac Purton. 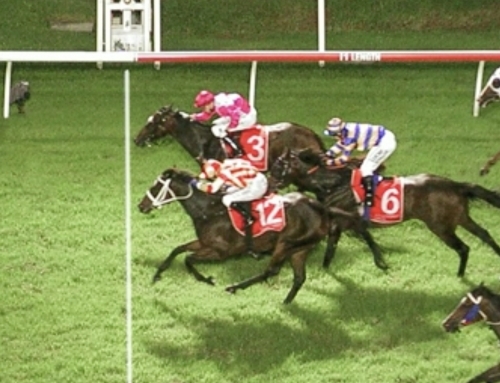 He remains second favourite ($4.20) for the International Sprint on December 9 behind Hot King Prawn ($3.60). Leading the Australian contingent in pre-post markets is Trapeze Artist ($9). 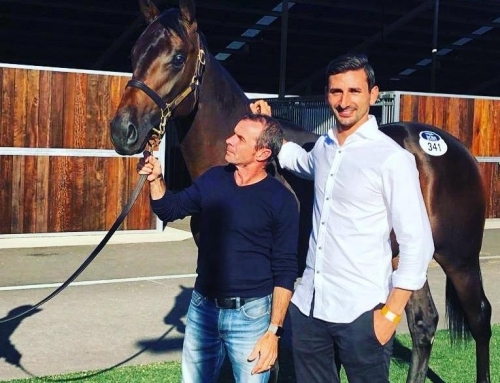 On Saturday, Testa Rossa mare Test the World (NZ) heads north for the Keith Noud Quality LR at Doomben following a first-up fifth at Randwick last month. Her last prep highlight was a second-up placing in the Gold Coast Silk Stocking LR. 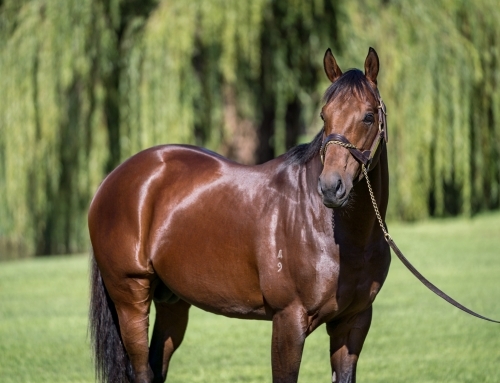 The Vinery sire’s Kiwi filly Dreamtesta can jag a Group 1 placing in the NZ 1000 Guineas (1600m) at Riccarton. 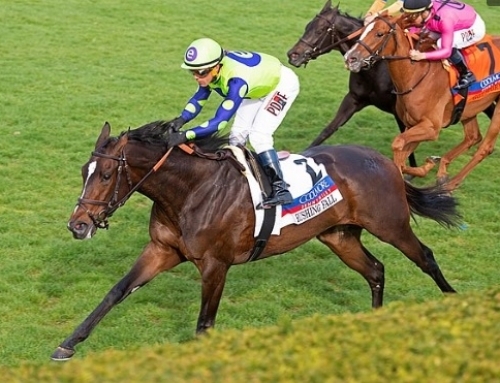 She recovered from severe interference to be placed two starts back and was then far from disgraced when fifth in the Zacinto Stakes LR at her first outing over a mile. Back at Sha Tin this Sunday, Vinery legend More Than Ready is mob-handed with Happy Warrior (R1), Remarkable (R3), Eagle Way (R7) and Shanghai Master & Patch Baby (R9). Eagle Way has put the writing on the wall with thirds over 1600m and 1800m since a spell and will appreciate an extra furlong in the Jockey Club Cup Gr.2 over 2000m. 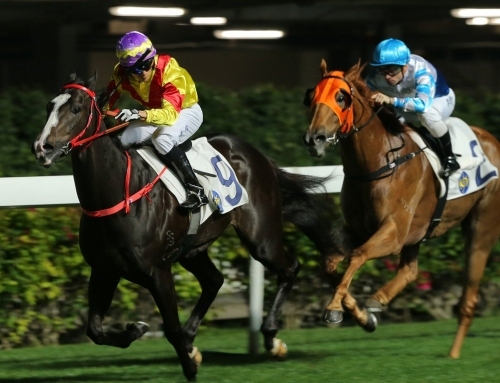 Eagle Way is currently priced at $8 in pre-post betting for the Hong Kong Vase Gr.1 on December 9. More Than Ready’s next new black-type winner could come from an unlikely source when Lockroy runs in the Colonel Reeves Stakes Gr.3 at Ascot on Saturday. He aims to turn the tables on Dainty Tess after finishing second to the mare in the Prince Of Wales Stakes Gr.3 a fortnight ago. Lockroy bungled the start and had difficulty getting clear near the home turn in the Prince Of Wales and meets Dainty Tess on 3.5kg better terms for being beaten a half-length. 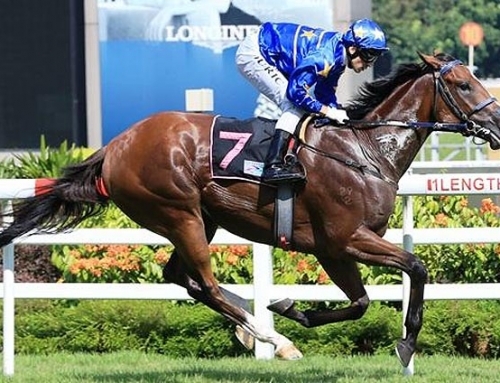 He holds a Group 1 entry for the Winterbottom Stakes (1200m) at Ascot on December 1. 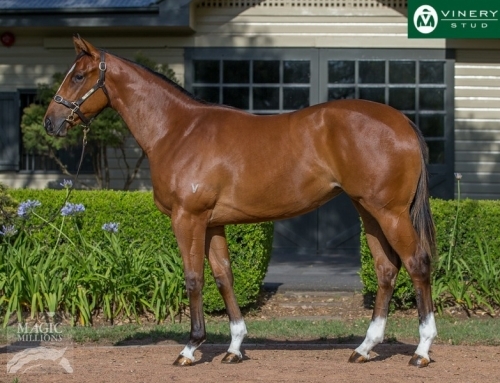 In sale news, Magic Millions released its catalogue for the Gold Coast yearling sale this week and the global phenomenon that is More Than Ready has 29 entered including 5 from Vinery. His first 2yo winner of the season arrived last week at Doomben when Gala Miss was successful on debut for local trainer Kelly Schweida. 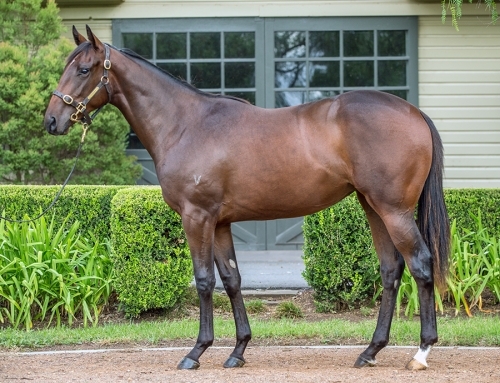 She is eligible for the $2 million Magic Millions 2YO Classic as is Chris Waller’s unraced filly Still Single. Jot that name in the black book – Still Single – the Lindsays reckon she could be special.